This book is about a girl named Holland Jaeger, who realizes her senior year in high school that she’s a lesbian. Up until this point, she’s had it all: she’s on the swim team; she’s president of the student body; she’s relatively popular, intelligent, and has a steady boyfriend. When she realizes that she’s falling in love with a girl, it turns her world upside down. She finds out who her true friends are, who will accept her for who she is and who won’t. This book is both heartwarming and sad. I got so angry reading some sections of it. I felt myself reacting along with the characters in the book when they got hurt, betrayed or treated like crap. Yes, there is hate in this book, but there is also love and acceptance and so much joy. I read this book in two days. I stayed up late reading it. I didn’t want to put it down. I know I’ll wonder about these characters for a while, wonder what happened to them after the book ended. I give this book four stars out of five. I really enjoyed it. I highly recommend it for teens who enjoy LGBT literature or also books about finding out what’s in your heart and following it no matter how the people around you react. This book is the perfect Young Adult summer read. It’s set in the summer at a beach house where Belly, the book’s main character, spends all of her summers growing up. This book is, more than anything else, a coming of age story. It’s the summer Belly realizes that, like the title says, she’s finally pretty. She is almost sixteen years old, and she has her whole life ahead of her. I devoured this book, remembering again my first love, first kiss, first time holding hands. This book made me nostalgic, and it also made me smile (granted, there were tears too, but most of the book was bubbly and fun). If you’re looking for a girly, beachy read with plenty of laughs and a casual, laid-back plot, this is the book for you. It’s also the first book in a trilogy, which is now sold in a one volume set, so if you think you’ll be interested in Belly’s two summers after this one, you may want to pick up the three books in one instead. This book was funny and quirky. I got caught up in Roo’s life and her friendships, both the laughter and the drama. I think she’s likable, a girl I would have liked to be friends with when I was in high school, someone who’s side I would have been on. I liked both her character and the supporting characters such as her parents, her boyfriends (not 15 of them no matter what the book’s cover says), the girl she carpools with, her best friends, even a teacher. This book is essentially about a big misunderstanding and a girl who makes mistakes and what happens when she hurts the people around her. However, to say that’s all that the book about would be simplistic. It’s also about a girl learning about herself, learning how to be honest and true to herself. She also learns what it’s like to be on the receiving end of gossip and learns what it’s like to not fit in. 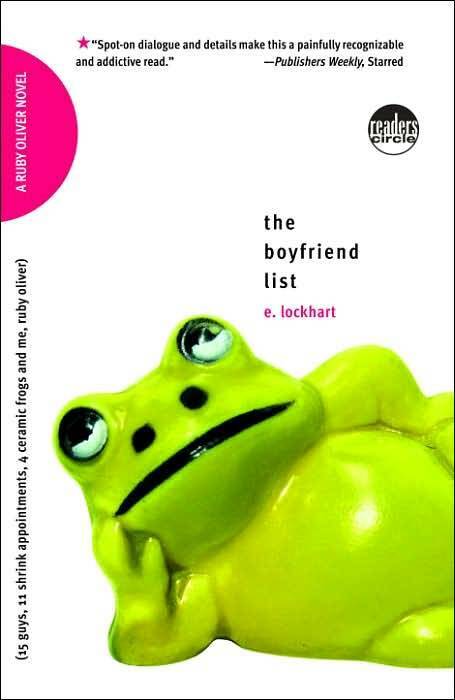 This is a funny story, a fast read (it took me a day and a half to read it), and I recommend it for anyone who likes realistic YA fiction novels about teenage girls and their social lives. 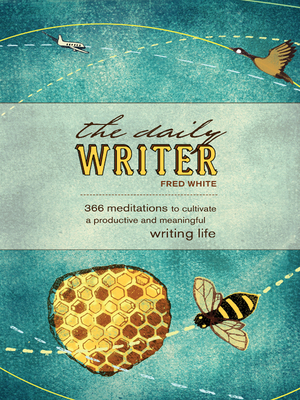 I’ve decided that I’m going to work my way through The Daily Writer by Fred White which is a book of writing exercises. 366 of them to be exact. Every morning, along with my morning coffee, I am going to flip this book open and tackle one of the exercises within, either the one for the current day or another one if that one doesn’t seem to fit me very well. I’m excited about it because I haven’t known how to break into writing, how to ready myself and begin to write something that’s fiction and not autobiographical. Believe me, I’ve got autobiography down, but even I get tired of hearing about myself all the time. It’s time for me to branch out and write fiction instead. I am hesitant, because I wonder how much I have to say. I wonder if there are any stories inside me and, if there are, what they are and who they’re about. I want to write beautiful things, to construct dream catchers out of sentence strings, to create a world where good triumphs over the rotten, the ugly, the mundane. I want to create a magical place where anything can happen. Maybe that is too much to ask of myself, but all I know is that I have to try. I feel that, when the words start coming, the world will open up as if a black walnut shell with a hinge, and inside will be this perfectly wild nut. This book is a comfort food type of book. You know the type: warm as cinnamon rolls, sweet as lemon scones, keeps you up all night reading like a vanilla latte… I admit that I loved this book. I found it through a book suggestion on goodreads, and it was just the romantic comedy I needed after reading Delirium earlier this week. There isn’t a lot of drama in this book. It’s an easy read, the kind of book that a girl can easily devour. Some of the reviewers said that they were looking for something more, but I wasn’t. It didn’t matter that Anna’s problems were first world problems or that there wasn’t a lot of depth. I wanted something lighthearted, something that would make me forget my problems and just smile for a while. 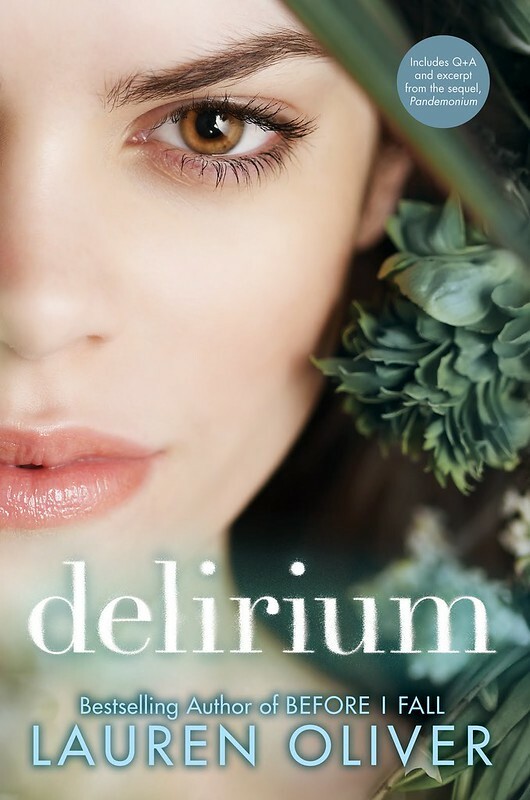 Lauren Oliver’s novel Delirium is a must-read for any lover of dystopian Young Adult novels, which is the category that this book falls into. That said, this book is a fast read, but it is at times challenging. The plot centers around the fact that in this futuristic United States, scientists have determined that love in all its forms is a disease that must be cured. When citizens reach the age of 18, they must undergo “the cure”, which is a type of brain surgery designed to eliminate the body of most of its feelings in order to protect the order and sameness of society. But what happens if, before you can be cured, you fall in love? 17 year old Lena is counting down the days until she can receive “the cure” just after her 18th birthday. Her whole life hinges on this procedure. It’s against the law to refuse the procedure. Every citizen who lives within the city’s electric fences is required to receive the cure. However, when she is only a couple months shy of her birthday, Lena meets someone and falls in love. It is this awakening to feelings that sets off a series of events that changes Lena’s life forever. For the first time, she begins to question authority. She begins to question if what she’s been taught her entire life is true. What if everything you’ve ever been told is a lie? What if your entire world was turned upside down and you had to choose between the life you’ve expected and a new, scary and illegal life that may be the only way to truly live? This is a novel about rebellion and taking chances. It’s a novel about awakening to the possibilities within yourself, and it’s a novel about a struggle to find meaning in a world where all passion and love has been wiped away. It’s really difficult to write this review without giving away the plot. Let me just say this. If you’ve read this far and you’re wondering if this book is for you, it probably is. I wouldn’t recommend it for children, though. I’d give it a PG-13 rating because it is violent in several sections. The violence did disturb me, but overall, the message of this book was powerful. It was an unforgettable read. I just finished reading this book a couple of weeks ago, after wanting to read it for years. I admit it. I have an addiction to Young Adult fiction. I like Charlie’s introspection, like the way that the book is set up as a series of letters he sends anonymously to a guy who’s a friend of an acquaintance of his. The book really allows the reader to get into Charlie’s head. What I like best about Young Adult fiction like this is its honesty. When viewed through a YA lens, life seems so much clearer to me. Is this because I missed out on so much when I was a teenager? Am I trying to relive those years to pack more into them? I’m not certain. I only know that books like this one make me wanna read more, make me wanna write more, make me wanna connect with someone else and stop hiding in my shell. I liked that Charlie was a reader and a writer, that he thought deeply about the people around him even to the point of over-thinking things. I wanted to take him out for coffee and a doughnut, wanted to sit down with him and Sam and Patrick and talk about life for a while.